In 1992, after having directed two striking films (Ju Dou and Raise the Red Lantern) that set him at odds with the Chinese Government, Zhang Yimou released TheStory of Qiu Ju, an unexpectedly repentant specimen. The film may have compromised Yimou’s relationship with his viewers, but it also seems to have subversively addressed the compromises that Yimou had to make in order to remain a filmmaker. The nature of the relationship between an author and the reader or consumer of his work is explored by Jean Paul Sartre in his essay, What is Literature?. In it, Sartre contends that “literary objects exist only in the concrete act of reading,” and that any meaning tied to any text is actually contained within the individual who is creating or consuming the text, and that the texts on their own are merely black squiggles on a page. Through shared language, the author entreats the reader to “create meaning” out of the text, thus the author uses their freedom to create a text to entreat to the reader’s freedom to engage with the text and create meaning. Sartre explains, “The writer appeals to the reader’s freedom to collaborate in the production of his work…. The work of art is a value because it is an appeal.” The reader, freely choosing to open the text and engage with it is “asserting that the object has its source in human freedom.” Thus the effective relationship or dialectic between an author and a reader is one of mutual respect and freedom. Sartre felt that authors who failed to respect the freedom of the reader (citing and criticizing Pierre Drieu la Rochelle) decimated the potential for reader engagement or reader meaning-making. The film centers around the determined Qiu Ju, played by Yimou’s perennially favorite actress Gong Li. Loosely based on the novella, The Wan Family Lawsuit, by Chen Yuan Bin, the film follows Qiu Ju, a determined country wife, as she doggedly follows every channel legally available to her in order to satisfy her need for justice, which is (to her) an apology from her village chief. Only, Qiu Ju’s version of justice is impossible to enforce and is not even comprehended by most of the well-meaning government bureaucrats depicted in the film. Repeatedly the courts rule that the chief must provide pecuniary retribution, which he offers with demeaning vitriol, and which Qiu Ju feels morally compelled to decline. Ultimately she has pursued vindication to such a length that the chief is imprisoned for his crime even after Qiu Ju has forgiven him and is earnestly seeking his good favor again. The film regularly depicts the incongruence of Qiu Ju’s enceinte rube amidst the bustle of the modern city. Her character is clearly as much comedic as tragic, especially for a Chinese audience. She is in many ways more of a child than an adult. What meaning might Yimou have been hoping that his audience might make of this work? Especially of his ambiguous ending as the film freezes, unresolved, on Qiu Ju’s face as she pursues the vehicle with the arrested chief? It seems that perhaps Yimou was asking questions with this film about impossible situations and hoping that his audience would recognize that they were unanswerable, as Yimou found himself in an impossible situation, and felt that his work would be compromised or destroyed no matter how he chose to proceed. Yimou continued to make films in China within the parameters of government pressure, and complied well enough to be given government commissions (including the 2008 Olympic opening ceremony). Though in interviews has consistently tried to distance himself from government influence. The film itself seems to be a disclosure of the necessity for recognition of limits and for compromise – for working within the constraints of an imperfect system in order to work at all. The film very mindfully portrayed every individual except Qiu Ju, the chief, and the city taxi driver as gracious and amenable. 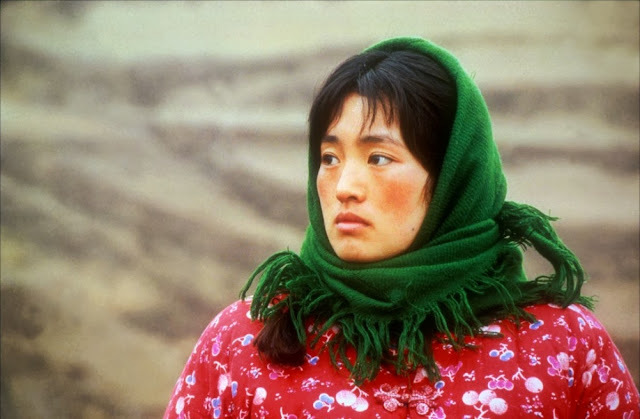 The only conflicts that were allowed to surface in the film were between Qiu Ju and the chief (technically this involved Qiu Ju’s husband, but he was prepared to let it rest long before Qiu Ju was), and between Qiu Ju, her sister-in-law Meizi, and the city taxi driver. The conflict with the taxi driver plays out like the other, larger conflict in miniature. For his petty misconduct, Meizi chases him into the unknown, subjecting her family (Qiu Ju) to angst, and her efforts prove fruitless – more harm than good is done. By representing Qiu Ju’s futile, sometimes bull-headed attempts, Yimou is clearly crafting some meaning. Whether Qiu Ju’s zeal is intended to be symbolic of Yimou’s own in his past is essentially an opportunity for guided or “directed creation.” The viewer can finish what Yimou has begun – but whether they draw a line connecting Qiu Ju with Yimou’s earlier films depends on what information the viewer brings with them to their viewing. Existing government systems did not allow Qiu Ju to pursue or achieve her definition of justice, and when she worked within those systems, the result was a disappointment, but she was still willing to persist. Is Yimou asking whether it will prove a similar disappointment if he seeks after artistic freedom in a similarly non-ideal system? He interestingly asks the question without answering it, allowing the audience their own creation of answer and meaning. Sartre claimed that a “literary object has no other substance than the reader’s subjectivity.” Citing Raskolnikov’s hatred of the police magistrate who questions him in Tolstoy’s Crime and Punishment he claims, “Raskolnikov’s [hatred of the magistrate] is my hatred which has been solicited and wheedled out of my by signs, and the police magistrate himself would not exist without the hatred I have for him via Raskolnikov. That is what animates him, it is his very flesh.” We see this authorized existence and fleshing out of the chief morph before our eyes as Qiu Ju experiences a vulnerable crisis and is rescued by the Chief’s efforts. Prior to that point, the chief is only ever represented (by presence in a scene or by description of other characters) as being stubborn and prideful. Suddenly his character becomes infinitely more complex by doing something out of character. Viewers are invited to forgive the chief along with Qiu Ju. At this point harmony is restored, except for the avalanche Qiu Ju’s previous, rather naïve legal actions set in motion. 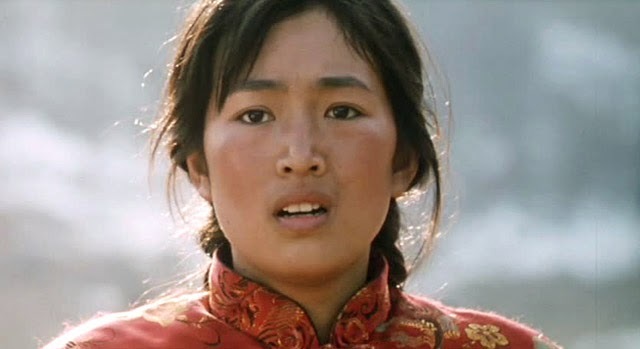 The chief is arrested and harmony is obliterated, and Qiu Ju’s “what have I done?” face becomes the film’s signature moment. It is possible that this film is an entreaty (to the freedom of the viewer) to consider the complexity and imperfections of the systems under which they and Yimou alike strive to function and create. The film carefully points no antagonistic fingers. Everyone is likeable and agreeable (to Qiu Ju) by the end of the film, and what remain are mistakes, not sins. It may be that Yimou was hoping to invite his viewers to apply a similar compassionate judgment to both his past and future work as he endeavored to change gears and comply with government pressure.